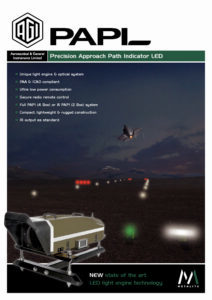 Using the most advanced LED and optical technology available, Metalite Aviation Lighting’s new PAPI LED (Precision Approach Path Indicator) provides a world leading energy efficient and versatile Portable PAPI System. Metalite’s unique light engine and optical system delivers unrivalled battery run times and highly efficient charging cycles, resulting in a reduced total cost of ownership and a low carbon footprint. 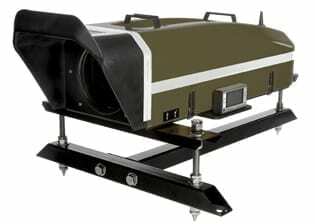 As standard the PAPI LED is equipped with both Visual & IR LEDs for NVG compatibility. The PAPI LED is also equipped with a secure 128bit encrypted radio receiver with MESH repeating network allowing virtually unlimited range when lights are within range of each other within the network. The robust design of the units ensures high portability to allow rapid deployment at either end of the runway in the harshest of environments. The PAPI LED is secured via the supplied base-plates to hard or soft surfaces to ensure stability and a digital inclinometer provides accurate calibration every time. Metalite’s renowned outstanding build quality ensures a low maintenance investment for your airside ground lighting requirements for many years to come. The PAPI LED may be deployed either as an ‘A’ PAPI (2 box system) or Full PAPI (4 box system) allowing flexibility for various deployment requirements. When supplied as part of the MOSKIT LED AT, an ‘A’ PAPI system is provided as standard with an option to increase this to a full PAPI system.